Arts Enterprise Institute provides resources for artists so they can make a living as artists. Artists teaching artists is a cornerstone of our programs. Workshops, training seminars, and events integrate strong business skills, knowledge, life-long learning, and artistic development with peer-to-peer learning and engagement with the community. Arts Enterprise Institute is proud to partner with Washington Area Lawyers for the Arts. We hope you will join AEI and WALA for this exciting series of learning! WALA’s Creative Entrepreneurs Series is a series for creatives of all kinds who want to take the next step in their professional career by creating their own business. Explore the basics of forming a business for your creative endeavors, from deciding whether to incorporate as a non-profit or for-profit entity, to understanding copyrights and trademarks, to contract and negotiation skills, and finally to taxes and understanding the grants process. The series comprises of six sessions to be held on consecutive Wednesdays, starting Wednesday, March 27, 2019 and continuing through Wednesday, May 1, 2019 from 7:00 p.m. – 9:00 p.m. at Arlington Cultural Affairs’ “Theatre on the Run” located @ 3700 S. Four Mile Run Drive, Arlington, VA 22206. The series is free for WALA members and $20 per workshop for non-members. Session 4: Contracts & Licensing – Wednesday, April 17, 2019 – 7:00 p.m. – 9:00 p.m.
Karl W. Means advises clients on a range of intellectual property-related issues, including working with clients on how to protect and license copyrighted works covering a wide variety of subjects, including publishing, music, computer software and web-based content. Karl also counsels clients on the selection and protection of federally registered trademarks in the U.S., international trademarks, domain names and web-based advertising, and brand development. He also has extensive experience with technology-based transactions involving the commercialization of products and services, brand licensing, technology transfer, software licensing and development agreements. Before joining Miles & Stockbridge, Karl was a Shareholder in the Intellectual Property practice at the firm of Shulman Rogers. Karl began his legal career with the U.S. Customs Service in Washington, D.C., where he was Senior Attorney in the Intellectual Property Rights Branch. Karl holds an M.B.A. from Price College of Business, University of Oklahoma. Session 5: Negotiation Strategies – Wednesday, April 24, 2019 – 7:00 p.m. – 9:00 p.m. In business and in our personal lives, we are constantly needing to negotiate and collaborate with other people – people whose interests differ from our own. how to plan, prepare for, and participate in negotiations. Session 6: Grants – Wednesday, May 1, 2019 – 7:00 p.m. – 9:00 p.m.
Paul Marengo is the CEO of Promethean Fundraising, a small boutique consulting firm that helps grassroots organizations become more competitive fundraisers. Mr. Marengo has 25+ years in non-profit organizational development. In his career, Paul has been the Festival Director for DC Film Alliance, the Asian Pacific American Film Festival as well as the Volunteer Coordinator for DC Independent Film Festival, DC Underground Film Festival, Reel Affirmations, and now FilmFestDC. Further adding to his resume, Paul has been the event manager for organizations such as the Guerilla Film Festival and Reel Affirmations as well as a Theater Manager for the Washington Jewish Film Festival. Lastly, Paul has been a film judge for the NYC Independent Film Festival, The Washington West Film Festival, and Smart Philm Festival. Wednesday’s April 10, 2019 WALA Creative Entrepreneur Series “Copyright/Trademark Protection and Use” with John Mason (WALA Board President) education session w/ Arlington Arts’ Arts Enterprise Institute has been RESCHEDULED to Wednesday, May 8, 2019. All current registrations for the Wednesday, April 10, 2019 “Copyright/Trademark Protection and Use” session have been transferred to the new date’s (May 8th) registration list. Refunds will be issued upon request. Please email education@waladc.org to request a refund. Session 3: Copyright/Trademark Protection & Use – Wednesday, May 8, 2019- 7:00 p.m. – 9:00 p.m.
John D. Mason of Copyright Counselors, LLC is an art, entertainment and intellectual property attorney, and literary agent. He is based in the Washington DC/Maryland area. His practice focuses on copyright and trademark transactional matters, litigation, publishing and media issues, contracts, and commercial matters. He works with writers, artists, filmmakers and people and companies in creative industries to protect, promote and exploit their work. In addition to his law practice, Mr. Mason is adjunct faculty teaching Entertainment Law at UDC Law School, past adjunct teaching Art and the Law at George Mason University, Board President of Washington Area Lawyers for the Arts, and past Advisory Board member of the Art Directors Club of Metropolitan Washington. Session 2: Business Entities Formation – Wednesday, April 3, 2019 – 7:00 p.m. – 9:00 p.m.
Hardeep Grover is an attorney with Tresquire, a solo practice where he focuses on helping start-ups and small businesses navigate legal hurdles. Hardeep began his practice immersed in the start-up culture of San Francisco, and developed his expertise as counsel to restaurants, theater, and film production companies in New York. Having returned to his hometown of Washington, DC, Hardeep now works with creative entrepreneurs in the technology, entertainment, and food & beverage industries. Barred in CA, NY and DC, he works with clients in all three jurisdictions, striving to help people bring their visions to fruition. In addition to his role on the education committee of the Washington Area Lawyers for the Arts, Hardeep is also President-Elect of the South Asian Bar Association of Washington, DC. Session 1: Tax Strategies – Wednesday, March 27, 2019 -7:00 p.m. – 9:00 p.m.
Pursuing your art as a business can be daunting, and one of the biggest challenges is understanding the tax laws. Between the many types of federal and state taxes that apply to your business, it is easy to make a mistake that can set back your business for years. Benjamin Takis and Benjamin Grosz, both having active experience in the arts in addition to practicing as tax attorneys, will provide an overview of the federal income tax, a guide to the different business structures you should consider, as well as more advanced federal tax issues relevant to artists in the Washington, DC area. Benjamin Takis is the founding attorney of Tax-Exempt Solutions PLLC, a law firm specializing in tax, corporate governance, employment issues and business transactions for non-profit organizations and social entrepreneurs. Since beginning his practice in 2006, Ben has devoted his career to representing non-profit organizations and tax-exempt entities. Ben honed his skills as an associate at the premier Washington D.C. labor firm Bredhoff & Kaiser and the leading employee benefits boutique Groom Law Group. At Bredhoff and Groom, Ben represented some of the largest pension funds, health care trusts, and labor organizations in the country, along with public charities, lobbying groups, trade associations, and other non-profit organizations of all types and sizes. Benjamin Grosz is a partner with Ivins, Phillips & Barker, where he advises clients on a broad range of federal income, estate and gift tax planning matters, as well as employee benefits issues. Before law school, Ben started his own financial planning business. Prior to that he was a business manager at Capital One Financial Corporation, where he developed strategy and analysis for its credit card and banking businesses. His experiences in starting his own financial planning business and developing business strategy for Capital One help him understand the needs of clients ranging from entrepreneurs to large corporations. Although lacking the talent to be a professional artist, Ben spent years singing with various choirs and has had the privilege to sing at the Kennedy Center and Wolf Trap, and the good fortune to participate in a singing “tour de France” with one of his college choirs. Jonathan Holbrook is an associate with Ivins, Phillips & Barker. His practice focuses on federal income taxation, as well as estate planning and employee benefits issues. As a student at Harvard Law School, Jonathan co-founded HLS Effective Altruism, advised low-income taxpayers through Harvard’s Federal Tax Clinic and was a winner of the 61st annual Williston Negotiation Competition. First impressions matter!! Just creating good art is not enough. When you submit your artwork to a gallery, it is your first impression to the curator or the gallery owner. In a competitive world of art, making your artwork stand out from the rest require great presentation skills. A poorly presented artwork could give a great piece of art, a bad first impression or worse not get noticed. In this workshop, learn things-to-do before and after submitting your artwork to galleries. We will talk about, tools, tips and techniques of preparing your artwork, proper labeling system, general information about framing and supplies, and installation instructions. Helpful articles and videos will also be shared for future reference. With a few helpful hints you can make and submit your artwork like a pro and get noticed. Glen Kessler, Founder and Director of The Compass Atelier, leads attendees through the challenging process of applying for grants and grant writing in particular. From locating viable grants, to following guidelines, to writing a successful grant, to follow up, this workshop will enhance your understanding and confidence in applying for artistic grants. A picture is worth a thousand words. Artists need compelling images to represent their artwork on social media and when submitting portfolios for review. In this workshop, students will learn how to take images with a Smartphone, a tool almost all of us have in hand. Just by understanding a few principles and best practices, one can get the most out of their phone cameras to create stunning images. Although this work­ shop focuses on photographing 2-dimensional art work, many of the techniques and best practices will help the individual understand basic photography concepts and skills. By the end of the workshop students will understand the right camera angle, how to photo­graph using natural light, using basic camera settings, right exposure, composing, editing, cropping tools and best practices to have quality photos of their artworks. About the instructor: Sharmila Karamchandani, an Indian-born artist and graphic designer has passion for working in arts edu­cation and community non-profits. She has been teaching design and entrepreneurship for a decade. Sharmila submerges herself into experimenting with several art and craft mediums. She enjoys working in various art mediums such as painting, Jewelry Making, Mixed-Media collages, Photography, Calligraphy and Henna painting. She aims to one-day have her own art school. “I think I am a global woman and have love for all art forms, styles and mediums. I am deeply moved by different forms of art and different people.” To con­tact Sharmila, e-mail her at sdkhush@gmail.com. Famous artists from Rembrandt to Warhol didn’t sit around in their studios and wait to be discovered – they hustled! In this workshop, we’ll uncover time-tested strategies for making a living from your art. We’ll also brainstorm with like-minded creatives on how to adapt them to your practice in a way that feels right to you. In the process, we’ll learn that art and business go hand in hand! Our instructor Sarah McGavran wrote her doctorate on the ways modern artists like Matisse created their public images and marketed their art. Her new venture The Creative Interpreter combines these interests, offering content writing and editing to artists and creatives as well as galleries. Sarah has a background in painting and holds a Ph.D. in art history from Washington University in St. Louis, and a B.A. in art history from Kenyon College. This workshop is part of the Springboard for the Arts “The Work of Art Toolkit: Business Skills for Artists” curriculum and is presented by the Arts Enterprise Institute, a program of Arlington Arts. Springboard for the Arts is a nationally recognized economic and community development organization for artists by artists. Its mission is to cultivate vibrant communities by connecting artists with the skills, information, and services they need to make a living and a life. Springboard for the Arts has a goal of distributing 10,000 “Work of Art Toolkits.” The Arts Enterprise Institute is participating in its initiative. Are you curious about the difference between a copyright and a trademark? Are you concerned about “remixing” other people’s work in your original art? Are you worried about what to look for and include in contracts, model releases and other agreements? Are you thinking of making the leap from casual artist to a more formal business structure? These questions and more will be addressed as we explore Legal Considerations for Artists. This workshop will cover the basics of how to protect your own intellectual property, how to appropriately license that of others, the basics of contracting, and how to begin the process of creating a formal business to support your artistic enterprise. Emily Sexton has almost two decades of experience representing clients in creative fields, including eleven years as in-house arts and entertainment counsel for the largest performing arts center in the DC area. After graduating from Harvard Law School, Sexton practiced copyright and trademark law for two national and international law firms before moving to the John F. Kennedy Center for the Performing Arts in 2007. In her spare time, Sexton sings, writes fiction, and consults and blogs about the intersections of entertainment and parenting. Christine Searle, CIA, CRMA, EA, is an internal control, internal audit, and tax professional with over 35 years of experience helping nonprofits, businesses, and individuals get control over and understand their finances. She specializes in helping entrepreneurs navigate the best practices and requirements to make informed financial decisions. Christine moved to Arlington in 2001, started her Arlington-based business in 2014, and has been engaged in volunteer community service for nearly 20 years. Winning grant proposals can give you the time you need to produce great work, but writing the proposals can take up all of your time! This workshop will teach you how to maximize your time for your art by streamlining the process for grant writing. Topics include how to work the grant process into your schedule, how to research grants, strategies for outlining, writing and editing proposals, and more tips for winning over committees! Our instructor Sarah McGavran is an art historian who has won grants from Fulbright and the Mellon Foundation. She has helped others write winning proposals for fellowships at the Metropolitan Museum of Art and elsewhere. During and after her graduate studies, she taught college art history to studio artists, and then went on to work as a corporate art consultant. In both roles, she loved speaking with artists about their work and helping them learn how to present it to different audiences. Passionate about communication, she also translates art-related texts from German to English. Her new venture The Creative Interpreter combines these interests, offering content writing and editing to artists and creatives as well as galleries. Sarah has a background in painting and holds a Ph.D. in art history from Washington University in St. Louis, and a B.A. in art history from Kenyon College. Learn how to prepare a simple business plan, in arts-friendly language, to help you organize all the various aspects of your artistic practice and make informed business decisions. Discover analytical and tool-based approaches to manage your time. These tools will help you tackle hurdles related to efficiency, flexibility, and structure to help you reach your artistic goals. Where do you want to be both artistically and professionally? Learn how to define your values, identify key choices, and develop a plan to achieve your career goals. Who knew you were spending $50 a week on lattes? Identify your spending triggers and create a plan to curb spending, create healthy savings habits, and use automated tools to help you stay on budget. These techniques will help you manage income and expenses, while controlling debt. Define your product, discover your target audience, make decisions about how you sell your work, and identify a budget and strategy for your artistic business. Stephen Benedicto will be the facilitator for this workshop. Benedicto is an artist based out of Washington DC. He graduated with a degree of Principles of Aesthetics at George Mason University and has been working as a full-time artist since 2014. His most recent works explore power dynamics through geometric forms that elicit fantasy and a vague eroticism. His art has been featured in commercial estates in the DC metro area and been acquired into private collections around the nation. Using Facebook and Twitter examples, learn core functionality, etiquette, and exercises to help you build an online strategy for your artistic business. Create an effective promotional strategy to get your work out there. You will learn basic marketing and promotion techniques – defining your audience, crafting your message, writing a press release, and more! Perfect for artists with limited time and budgets. Kori Johnson, an arts consultant based in Columbia, Maryland, will lead the workshop. Kori’s personal and professional journey centers on creating accessible, inclusive, community-driven arts spaces. She is especially passionate about supporting initiatives that elevate underrepresented voices. Kori holds a B.A. in Political Science and Spanish from Haverford College and an M.S. in Elementary Education from Pace University. 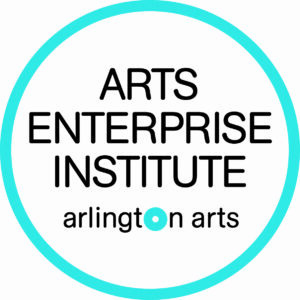 This workshop is part of the Springboard for the Arts “The Work of Art Toolkit: Business Skills for Artists” curriculum and is presented by the Arts Enterprise Institute, a program of Arlington Arts. Learn more about Springboard for the Arts. Set the right prices for your art and create a custom pricing strategy that honors your time and skill while remaining competitive on the market. Don’t worry about the math, this is something anyone can do. Time to get those sales rolling! Join us as we participate in a Webinar moderated by Eddie Torres, President & CEO, Grantmakers in the Arts. Presented by Steven Lawrence, Independent Consultant and Senior Research Affiliate, TCC Group. To mark the twenty-fifth anniversary of the publication of the first Arts Funding benchmark study, Grantmakers in the Arts commissioned arts philanthropy researcher Steven Lawrence to prepare a reflection on changes in arts and culture funding over the past twenty-five years. Released in the Winter 2018 GIA Reader, “Arts Funding at Twenty-Five: What Data and Analysis Continue to Tell Funders about the Field,” examines changing sources of support for arts and culture from the 1980s forward and the factors propelling those trends. With this webinar, Steven will review key findings and highlight more recent funding data that suggest the arts are not keeping pace with other sectors, especially in the aftermath of the Great Recession. Following the webinar we will have a live discussion facilitated by Ryan Stubbs, Research Director, NASAA. Explore the essential elements of creating a professional artist portfolio. Learn how to craft an artist statement and curate work samples to make your art shine!